An excursion to The Butchart Gardens during the winter months provides the hearty visitor the unique opportunity to view the historic garden in a new light. With plenty of winter flowering shrubs and flowers to enjoy, the visit will likely conjure up some West Coast garden envy and perhaps inspire a visit to a local nursery. Our ‘Winter Garden’ in the Sequoia grove is just beginning its seasonal show, highlights include Abeliophyllum distichum (White forsythia) and the ever-fragrant Daphne odora (Winter daphne) which are loaded with flower buds ready to burst. 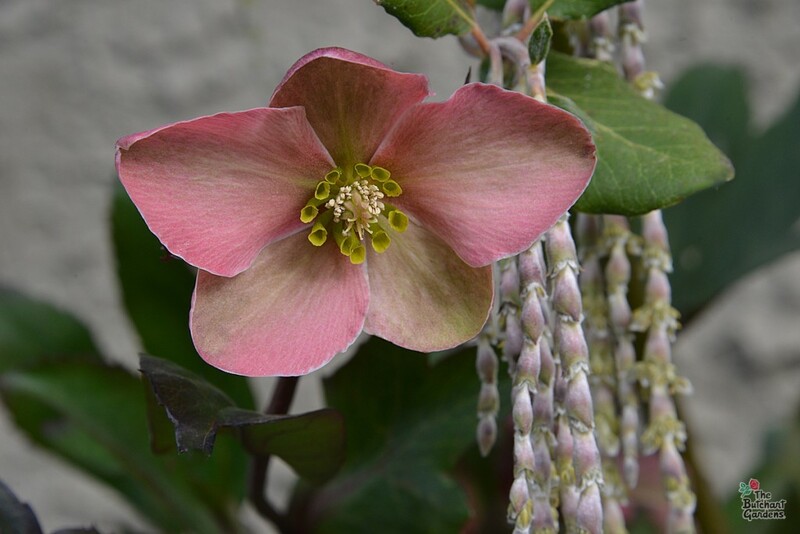 An extensive selection of Helleborus (Hellebore) can be found in this area, ranging from single flowering to gorgeous double flowering varieties in shades of white, pale pink, chartreuse green and dark purple. 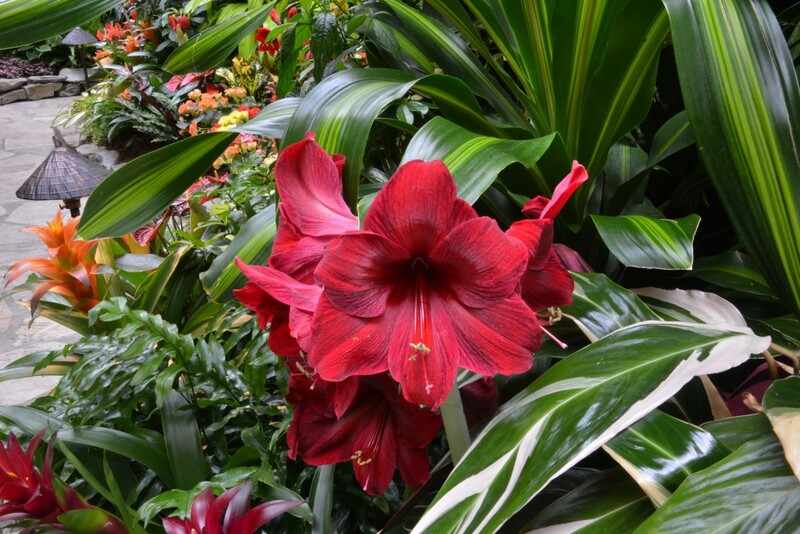 Indoors it’s the amazing Amaryllis that steals the show with a bounty of a large trumpet shaped flowers in an impressive array of colours, including the luscious ‘Red Pearl’ in deep red. These beauties can be found inside the Spring Prelude, The Showhouse, and the Butchart Residence. Now in its third week of the season, The Spring Prelude has blossomed into a well-established oasis. With evolving displays of flowering bliss, there is always something new each week and the peaceful ambience is the perfect respite from the long winter. Winter is also a time when the gardeners tackle major projects and do some much-needed garden overhauls. One such area that will be exciting to watch as it is transformed is the perennial border that flows around the corner from the Concert Lawn on route to the Rose Garden. All the perennials have been dug up, divided and the soil is being prepped for a fresh start. It is time for some new interesting plants to be added to the classic collection of timeless treasures that have called that border home for so many years. Change is good; embrace it.